After you have successfully installed and activated the FraudLabs Pro plugin for WooCommerce, you may want to test if your installation was successful. (Note: You may visit “How to install FraudLabs Pro on WooCommerce?” article if you need help on the plugin installation). In the below section, we will show you how to perform the testing using Cash on Delivery (COD) payment method. Go to WooCommerce -> Settings page. Click on Checkout menu then select Cash on Delivery option. Configure the settings by enabling the cash on delivery and click on Save changes button. Purchase a product by adding it to cart and checkout from product page. In checkout page, enter the Billing and Delivery Details. Please make sure to enter different countries for the billing and the shipping addresses, so that this will trigger the REVIEW action as configured in our default validation rules. Then, select Cash on Delivery as the Payment Method and place the order. After you have placed the order, check on WooCommerce -> Orders of admin page to view the order details. In this example, as shown in the following, status of order is set as “On hold” due to the transaction being under Review of fraud. Order details with FraudLabs Pro result can be viewed in WooCommerce Order details page. You can also login to the FraudLabs Pro merchant area to view the complete transaction details. It shows the transaction is in Manual Review in this example. The above testings demonstrates how to flag an order for REVIEW. You may change the validation rules at the merchant area to suit your business needs. For example, you may create a velocity rule that if a customer purchased twice a day, flag the user for review. We have more than 50 validation rules available and the list is growing. You can visit this article: “How is the sequence of execution of fraud validation rules?” to learn more. Once you have successfully tested the plugin, you can just let the plugin run behind the scenes. It will automatically screen every order for fraud patterns. The plugin will email you if a fraud order is discovered, however you can turn the notification off at the merchant area settings page. 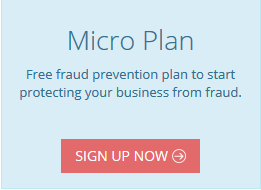 Anyway, you can login to your merchant area at https://www.fraudlabspro.com/merchant/login to view the detailed fraud reports.